When it's time to celebrate, these gourmet Rice Krispy Treats make a great gift. Each 12 pack comes with assorted flavors such as S'mores, chocolate peanut butter, M&M, Birthday Cake, Caramel Sea Salt, and Chocolate Caramel Pretzel. Half the Treats are garnished with a "Congrats" fondant plaque. 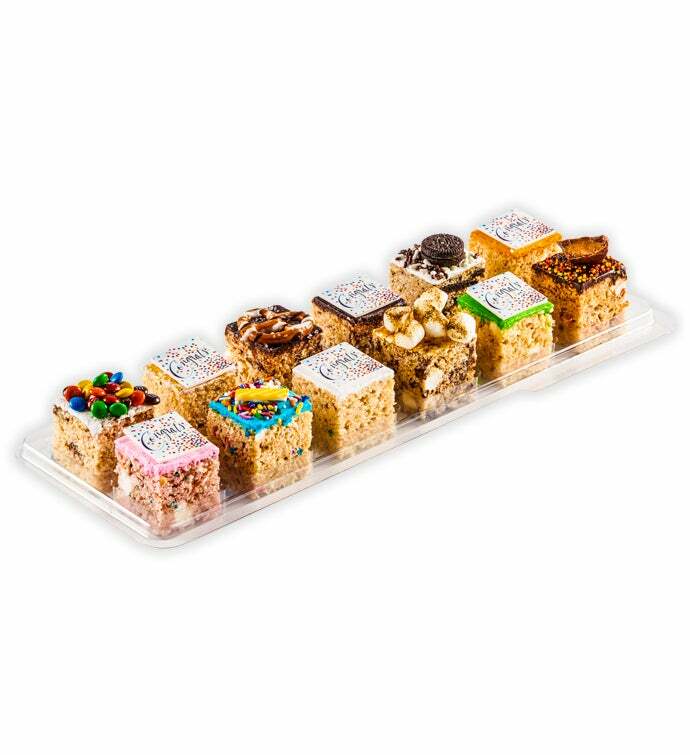 These delicious Rice Krispy Treats are a great way to say Congratulations!